Caleb Carter, born March 16th, 1888, was a member of the Nez Perce tribe and the author of “The Coyote and the Wind” in the January 1913 publication of “The Red Man”. Throughout his life Carter lived in Idaho, Kansas, and Wisconsin and attended the Carlisle Indian School from 1909-1912, ages 21-23. 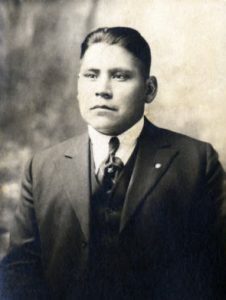 Although Carter originally signed up for a five year period at the Carlisle Indian School on October 12th, 1909, he was discharged June 7, 1912 due to a failure to return. 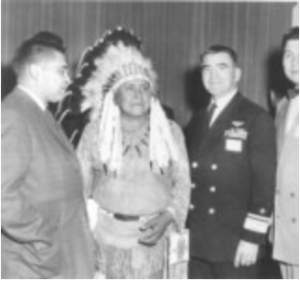 Carter was then readmitted on October 21, 1911 and graduated from Carlisle Indian School on June 7, 1912. At this 1912 graduation Caleb Carter was the first speaker and spoke about gardening. Pictured below is Caleb Carter’s Student Information Card. 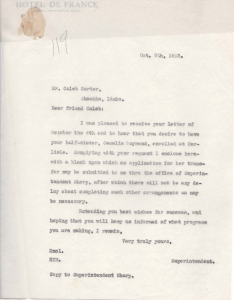 There is evidence in Caleb Carter’s student file, in the form of letters to the superintendent of the Carlisle Indian School, that Carter was involved in helping submit blanks to propose new students for the school. 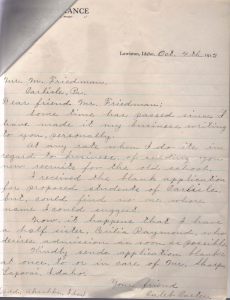 For example, included in Caleb Carter’s student file is a letter of correspondence (pictured below), dated early October 1913, between Carter and the superintendent of the Carlisle Indian School. In this letter Carter writes to the superintendent informing him that his half sister, Cecilia Reymond, is interested in attending the Carlisle Indian School. As a result of this letter the superintendent responds and send information about applying to Cecilia’s family. Also included in Carter’s student file, is a news article (pictured on the left). A brief article on the life of Caleb Carter was published on April 8th, 1912 in the Cumberland Valley News. The author of this article writes that Carter has land in Wisconsin and is going to become a farmer. This information fits in with self reports in Carter’s student file, where he submitted his occupation as farming. In an interview for the new article Carter says on farming, “And I can make it go, too, for what I learned here has surely helped me, and I will raise just as much and if possible, more, than the white farmers.” This quote shows that Carter looks back at his time in the Carlisle Indian School positively and believes that he learned from the experience. This also gives reader insight into Carter’s self perception and ideas about living and competing with white people. Pictured below (left) is a photography of Caleb Carter from Ancestry.com. Pictured below (right) is a portrait of Caleb Carter in 1930 from the University of Idaho Library Digital Initiatives Nez Perce Photograph Collection. 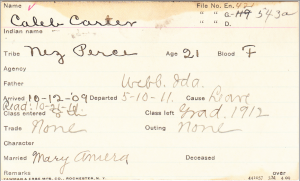 This entry was posted in Caleb Carter, Tribal Educators and tagged Ancestry Library, Indian Boarding School, Student Information Card, The Red Man. Bookmark the permalink.